Steve and Taffy met and married in the Pacific Northwest in the early nineties. At that time, Taffy was finishing up her nursing degree and Steve was involved in a variety of youth initiatives and developing training programs for high school students. Eventually, they established a leadership training and mentoring program for college students and young professionals in the Seattle area within the context of a thriving multi-site congregation. Steve and Taffy have three children, Samuel, Elliot and Caitlin. Steve is a musician, writer, bible teacher and freelance journalist currently based in Jerusalem with his family. In early 2003, while living in Seattle, a biblical text from Isaiah chapter 19 began to capture our attention. The verses in Isaiah 19 are primarily about Egypt, but near the end of the chapter, it speaks of a highway being established from Egypt to Assyria [which includes the modern nations of Iraq, Syria, Turkey, and parts of Iran]. This highway also goes through Israel, and the text indicates that these three regions and people groups will one day begin to serve together [one translation actually says, worship together] releasing a great blessing in the midst of the earth. Interestingly, a few weeks after we received this revelation of a Middle Eastern highway, America invaded Iraq. Iraq is located in the northern part of the Isaiah 19 highway. The 2003 invasion of Iraq (March 19 – May 1, 2003), was the start of the conflict known as the Iraq War or Operation Iraqi Freedom in which a combined force of troops from the United States, the United Kingdom and smaller contingents from Australia and Poland invaded Iraq and toppled the regime of Saddam Hussein in 21 days of major combat operations. THIS EVENT, IN ADDITION TO THE ISAIAH 19 PASSAGE AND MANY OTHER CONFIRMATIONS, FORTIFIED A RELEVANT FOCUS ON THE MIDDLE EAST, WHICH WAS A COMPLETELY NEW TERRITORY FOR US. Prior to this time, we had been involved in humanitarian work in many different countries, but never to the Middle East. As the Iraqi conflict continued, so did our prayers. We prayed for all the people caught in this conflict. We began to think about people that we had never thought about before and a burden began to grow in our hearts. The result of this growing burden led us to arrange a trip to Israel in the summer of 2003. We came as a family. At that time, Taffy was pregnant with our daughter and our two boys were just three years old and seven months old. We spent about a month in Israel, just trying to figure out what was going on and how we might be able to be a part of it. We met with many different people and heard their incredible stories. We began to realize that Isaiah’s vision of a highway was not some obscure ancient prophecy, but it was finding relevance and serving as a point of traction for many people in our day and in our time. After we returned from our first trip to Israel, our daughter Caitlin was born. Six months into her life, she contracted an epileptic seizure disorder and we immediately sought help from the children’s hospital in our city. Her condition was called, infantile spasms, but an interchangeable name for her diagnosis was salaam convulsions or salaam seizures. This was very interesting to us being that nearly all the nations in the Isaiah 19 passage are muslim majority nations. Salaam is an arabic word which means, peace. It is used in the arabic speaking world as a greeting, much like shalom is used in Israel today. The reason that her condition was called salaam convulsions is because the manner in which her body was seizing, with arms extending and head bowing, resembled an oriental or islamic greeting. Pretty crazy, huh? Twenty minutes later, our friend called back and said that it had been shown to him that a particular passage of the Bible had been highlighted to us recently. He asked us what that scripture was. We told him that the passage was Isaiah 19 and explained a bit more to him. Our friend felt impressed that we were encountering some spiritual opposition in regard to our involvement in this Middle Eastern work and encouraged us to continue forward and that Caitlin’s diagnosis was not the final chapter of the story. I’M NOT SURE HOW ALL OF THIS STUFF WORKS, BUT WE QUICKLY REALIZED THAT OUR DAUGHTERS CONDITION HAD BOTH PHYSICAL AND SPIRITUAL ELEMENTS TO IT AND WE HAD TO TRAFFIC IN BOTH REALMS IN ORDER TO DEAL WITH IT. After a three year unconventional and intense spiritual process, which did not include conventional medicine, Caitlin became seizure free and we prepared to relocate to the Middle East in early 2007. The years of 2003 through 2006 were a time of accelerated and intense preparation for our family. Looking back, we can clearly see that those extremely challenging times prepared us for the challenging locations where we now live and operate. We learned a lot about prayer and what it means to really trust God. We learned to make decisions from a position of faith, not fear, frustration or finances. We learned that facts are real, but not permanent and that God’s truth and His promises never fail. 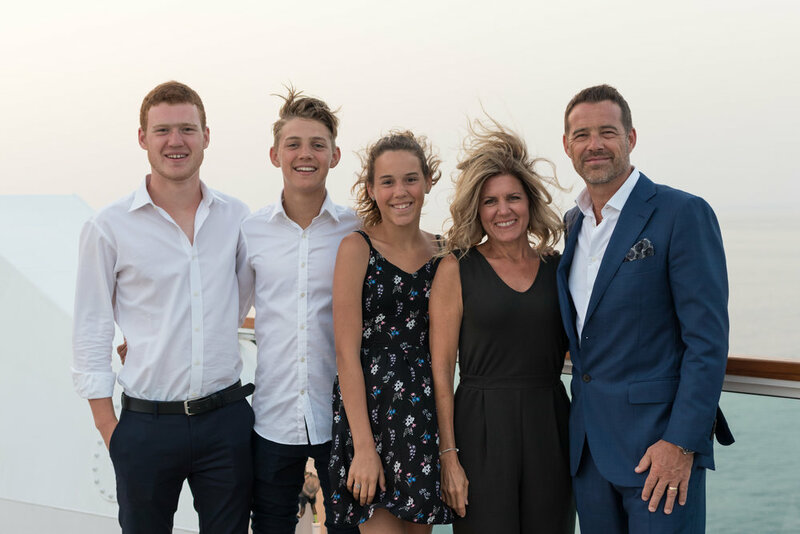 BEING HERE IN ISRAEL, AS A FAMILY, REMAINS ONE OF THE GREATEST PRIVILEGES AND CHALLENGES OF OUR LIVES. Abraham, who is an honored father to millions in this part of the world, was called to leave his country and set out on a journey. Abraham was the first one to actually walk the Isaiah 19 highway. It is said of Abraham that he waited for the city which has foundations, whose builder and maker is God. Sometimes it feels a bit like that. For us, it is simply about obeying a call to help build up a highway of hope that will lead many to that city - the city that Abraham saw. Our prayer is that many of Abraham’s sons and daughters will find their way onto this highway and into that city. Our work is to simply help them get there, one person at a time.